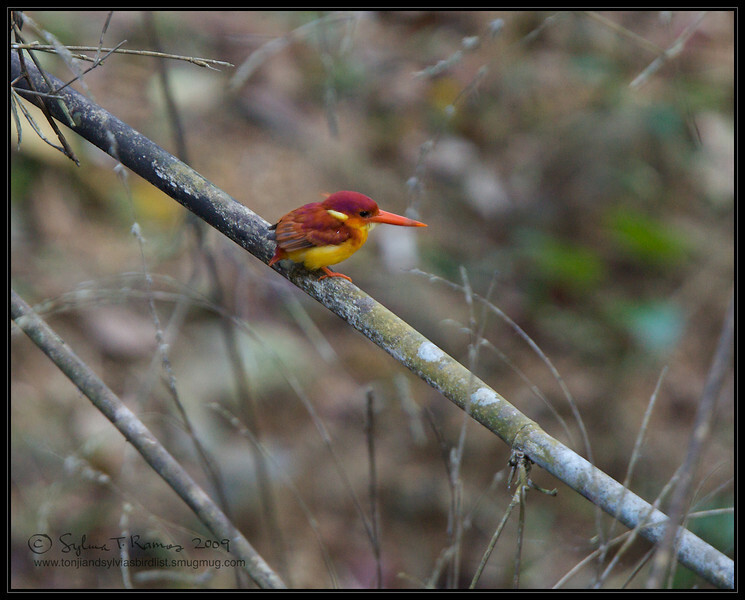 We first saw the Oriental Dwarf Kingfisher on our last day in Sabang, Palawan. We went back to the mangrove and saw it flying around. Too bad we weren't able to go to the Crocodile Farm where they have a resident one at the back. We would have surely been able to get a photo of that one! We were able to photograph this bird when we went to Coron, Palawan in November 2009.